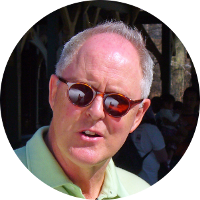 John Lithgow is an American stage, television and movie actor. He is also a children's book author and has recorded children's music albums. John Lithgow has received many awards throughout his career including, but not limited to, two Tony Awards, five Emmy Awards, two Screen Actors Guild Awards, two Golden Globe Awards, and an American Comedy Award. He has also been nominated for two Academy Awards and four Grammy Awards. John Lithgow's literary kin include author Harriet Beecher Stowe, poet Ralph Waldo Emerson, author Louisa May Alcott, poet Emily Dickinson, playwright Tennessee Williams, and poet Robert Frost. Celebrity kin for John Lithgow include actress Katharine Hepburn, singer Janis Joplin, actor Henry Fonda, TV personality and chef Julia Child, actor Humphrey Bogart, actress Jodie Foster, actor Clint Eastwood, actress Sally Field, singer Amy Grant, actor Ed Helms, actor James Dean, and the Wilson brothers of The Beach Boys..